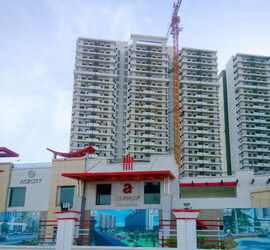 A very dedicated project Ace City developed by prominent builder Ace Group offers spacious 3 BHK apartments covering 1530 square feet. It is located in NoidaExtension, a modern city encircled by lots of commercial complex and tower. Buyers will enjoy a stress-free and luxurious lifestyle. Apartment Size: 1530 sqft sq. ft.